The Keweenaw Symphony Orchestra and conScience: Michigan Tech Chamber Singers will join this year's 41 North Film Festival for an opening night presentation of Voices of Light: The Passion of Joan of Arc. Regarded as one of the most influential films in the history of cinema, the 1928 silent film by Danish director Carl Th. 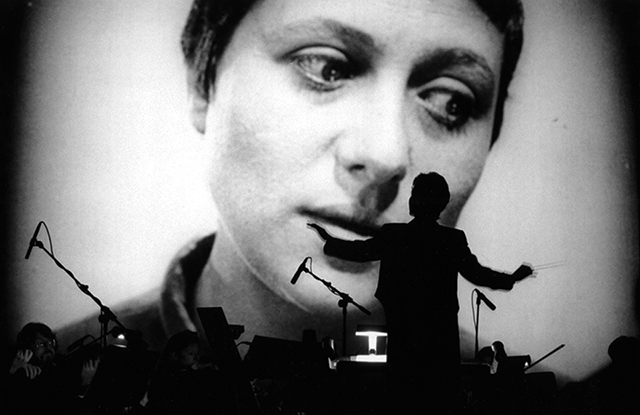 Dreyer will be presented with a live performance of Richard Einhorn's hauntingly beautiful composition for solo voices, chorus and orchestra. Film theorist and historian David Bordwell will present a public lecture on Dreyer and participate in a Q&A with Conductor Joel Neves and Choral Director Jared Anderson following the performance. Tickets for this special festival event are available online and at the MTU Ticket Office (free for students with the Experience Tech Fee).